Hang on to summer with these fun ways to serve watermelon! I’ll show you how to cut a watermelon so you don’t need a serving bowl, and also how to make watermelon pops! 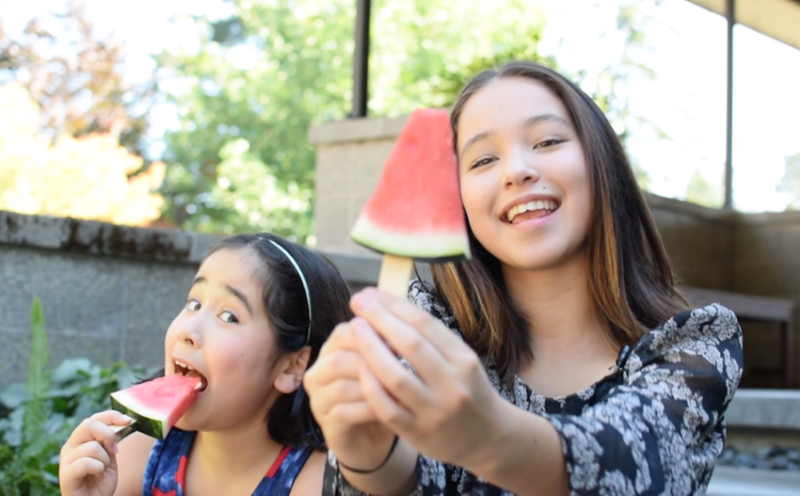 I definitely recommend freezing the watermelon pops – it’s worth the wait! Also, I am competing in Food Network Star Kids, premiering August 22nd at 8pm ET/PT – I hope you tune in! For more info, go to www.foodnetwork.com/starkids.